Mark G. Montiel, Jr. learned the art of negotiation and conflict resolution at a young age from his father, a well-renowned trial attorney and former Court of Criminal Appeals Judge. Mark’s peers and clients often describe him as dependable, gregarious, and straightforward, with a fabulous sense of humor. Mark’s practice focuses primarily on insurance defense litigation. Mark brings a unique perspective to his insurance law practice, having had the opportunity to represent both insurers and claimants. Mark obtained his bachelor’s degree from the University of Alabama, where he was a member of the University Honors Program and a peer-selected leader within the Phi Delta Theta fraternity. 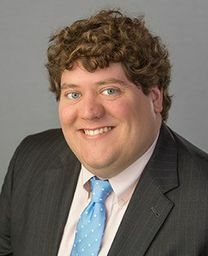 While attending Tulane Law School, Mark represented his class in the Student Bar Association, and went on to be elected its Executive President. He also received the Gary Lawton Fretwell Student Crest Award in recognition of his leadership and overall contributions to the growth and success of his peers. In addition to a Juris Doctorate, Mark earned a Certificate of Concentration in sports law studies from Tulane University Law School and was heavily involved in the University’s sports law program. He served as a Managing Editor of the Sports Lawyer’s Journal and was a member of the Sports Law Society. He also worked for Summit Sports Management, where he assisted in foundation development, public relations, endorsements, and marketing of past and present New Orleans Saints players. Mark was raised in Montgomery, Alabama, and enjoys golfing, hunting, fishing, and Alabama football.